Motown The Musical 2019 UK Tour Dates - Book Now! Following an acclaimed season in London’s West End, the Motown the musical UK Tour is now underway. Book Now! Motown tells the story behind the classic hits that provided the soundtrack to a generation. With music and lyrics from the Motown catalogue and book by Motown founder Berry Gordy, Charles Randolph-Wright’s production features a live orchestra playing 50 Motown tracks including Ain’t No Mountain High Enough, I’ll Be There, Dancing In The Street, Stop! In The Name Of Love, My Girl and I Heard It Through The Grapevine. 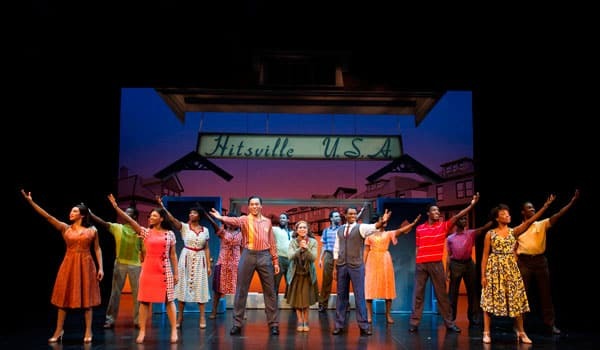 Read our review of the West End production of Motown the musical.